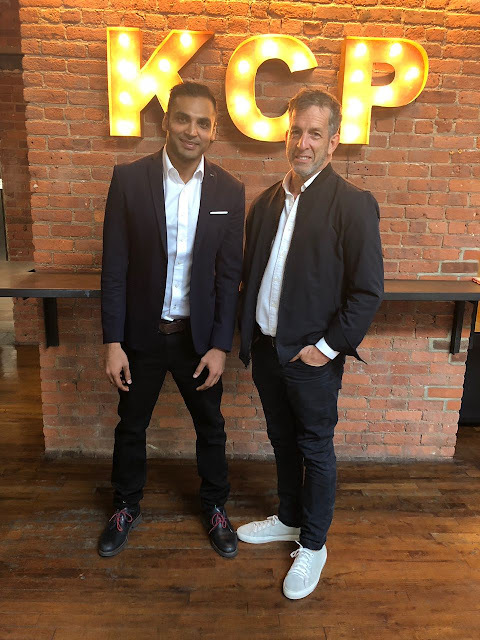 Global fashion brand Kenneth Cole has signed a ten-year licensing agreement with Brandzstorm India Marketing for men’s & women’s footwear, apparel, handbags, small leather goods, and travel gear. Brandzstorm India Marketing will design, manufacture, distribute and retail Kenneth Cole products in India and other select countries across the SAARC region such as Bangladesh, Nepal and Sri Lanka. Brandzstorm India Marketing will launch Kenneth Cole through leading multi-brand boutiques, shop-in-shops, major department stores and e-commerce portals. The company also plans to open two flagship boutiques in the first year of operations. The design, production and distribution for Kenneth Cole in India will begin in Holiday 2018. Brandzstorm is also a leading licensee and partner for premium fashion brands in India including Giordano, Swiss Eagle, Pierre Cardin, Steve Madden, Superdry, Cross, Lamborghini, Fjord, Nuband, ELLE and Furla. Currently the company operates and markets in segments of watches, apparel, bags, fashion accessories, travel gear and eyewear. Kenneth Cole is an American designer, social activist, and visionary who believes business and philanthropy are interdependent. His global company, Kenneth Cole Productions, creates modern, functional, clothing, shoes, and accessories for inspirational urban lifestyles under the brand names Kenneth Cole New York, Kenneth Cole Reaction and Unlisted, as well as footwear under the name Gentle Souls. The company has also granted a wide variety of third party licenses for the production of men’s and women's apparel, fragrances, watches, jewelry, eyewear, and several other accessory categories, including children’s footwear. The company's products are distributed through department stores, better specialty stores, company-owned retail stores and its e-commerce website. Over 30 years ago, Kenneth Cole leveraged his passion and unique brand platform to make a meaningful impact on people’s wardrobes, as well as communities in need. He did what others didn’t and said what others wouldn’t. Today, The Kenneth Cole Foundation remains committed to helping communities in need by supporting Collective Health, Civil Liberties, and Artistic Activism. Brandzstorm India Marketing Pvt. Ltd. is a leading licensee and partner of premium fashion brands in India with a sole philosophy of ‘drive brands ahead’. Currently the company operates and markets in segments of watches, bags, fashion accessories and eyewear for brands Giordano, Swiss Eagle, Pierre Cardin, Steve Madden, Superdry, Cross, Lamborghini, Fjord, Nuband, ELLE and Furla. Brandzstorm has presently ventured into newer product categories such as apparels, footwear and travel gear and plans to open flagship and multi brand boutiques at high street zones nationally. The company acquired ‘Swiss Eagle’ brand from Swiss Military, Hanowa Gmbh in 2009. Swiss Eagle timepieces have thus been created out of a winning blend of luxury, style and performance. ‘Brandzstorm’ boasts of state-of-the-art infrastructure, a complete professional setup with offices in USA and Hong Kong employing over 700 people. The company has forged a strong partnership with all leading multinationals to strengthen its reach in the Indian market. well I like Kenneth cole fashion products.